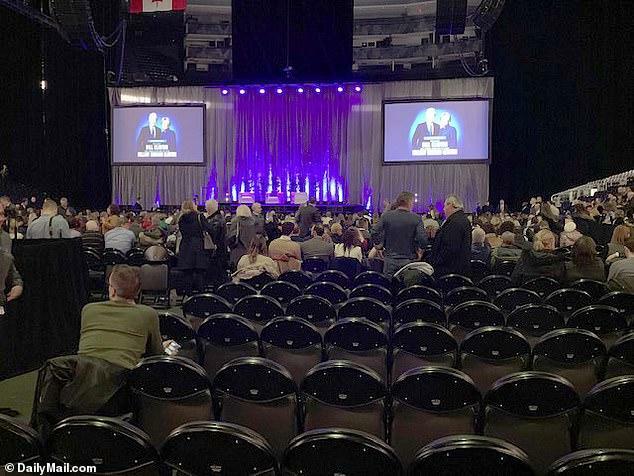 Having seen donations to their 'foundation' collapse by 90% since they failed in their bid to regain The White House, The Clintons decided a 13-city paid speaking tour was in order to scrape together some coin. 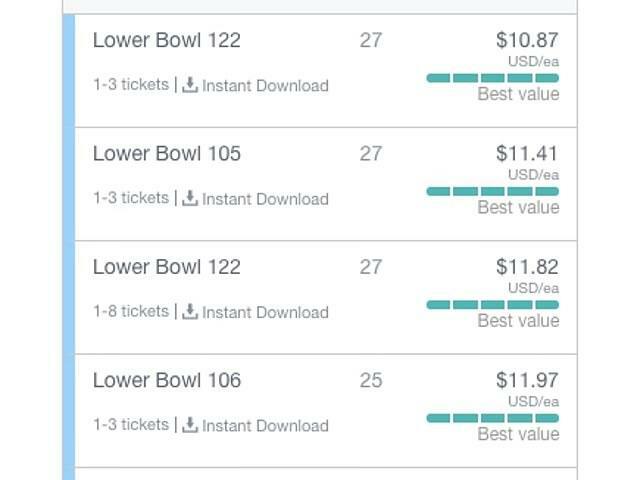 Unfortunately, as the image above shows, the supposed-power-couple's draw is starting to fade as the Daily Mail reports that just 3,300 tickets were sold in the Scotiabank Arena in downtown Toronto, which holds 19,800. 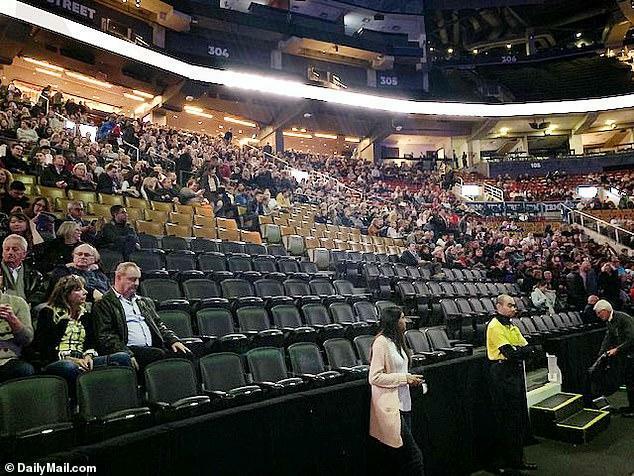 As President Trump tours the nation in front of 10s of thousands of fans, The Clintons faced 83% empty seats in the Canadian hockey arena as it seems fewer and fewer North Americans want to hear their whining scapegoatery. "We got a chance to become a democracy again and reclaim a debate," adding that there were Republicans of good will "who don't want to make America a single homogenous authoritarian country. We got a chance to have a debate again now." The former president apologized for Trump's angry clash with Canadian prime minister Justin Trudeau during his last trip here, setting off a trade clash, though the U.S., Canada, and Mexico ultimately reached a deal. "All the rhetoric was just for consumption, it was just rhetoric. And we did some real damage I'm afraid to our relationship and if we did I ask for your forbearance because we do love you, most of us, in America," said Clinton, who inked the NAFTA agreement during his tenure. "You need another?" her husband asked, offering her a bottled water. She also took what looked like a cough drop after about an hour on stage. 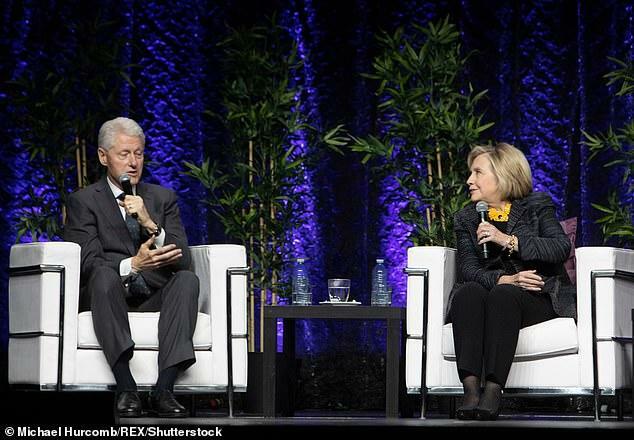 Her husband filibustered while her voice recovered, and Clinton participated during the event's final 30 minutes. “I just think the optics of going to an event where people are paying to see them, and they are financially gaining from this, I am not sure that is the right way to re-ingratiate them back into the public sphere,” said a former Clinton aide. 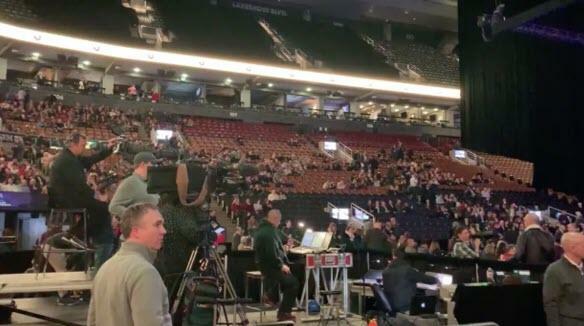 As American Thinker p[oints out,m Even though curtains were erected cutting the arena in half, the vacant seats far outnumbered the occupied ones.